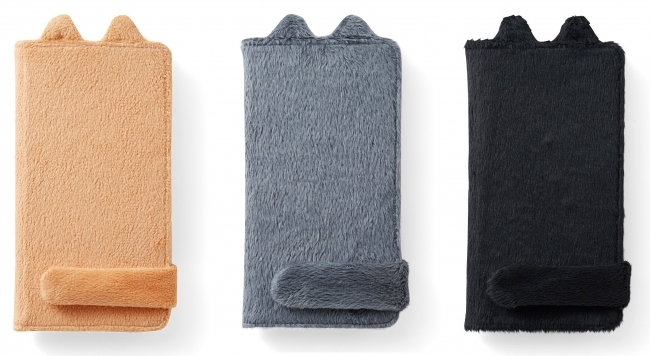 “Felissimo neko-bu” have designed a neko tail smartphone cover that fits your hand like a warm, comfy scarf, as well as a multi-purpose fluffy bag with a swinging cat’s tail. The products went on sale online from October 6th. The phone cover is perfect for those cold days. Fit your hand into the tail snug and it will hug your hand tight and warm. The cute and fluffy bag has a long cat’s tail that sways with each prance, and pointy ears to complete the neko look. Always having that warm fluffiness wherever you go is the perfect match for this autumn and spring. The bag is A4 size so you can fit your belongings into it easily, like your notebook laptop. Part of the money from your purchase of the items will be donated to animal shelters for pets with no owners and to helping find the animals a home. It will also go towards stopping overbreeding of stray cats, as well as animals put in shelters as a result of disasters.